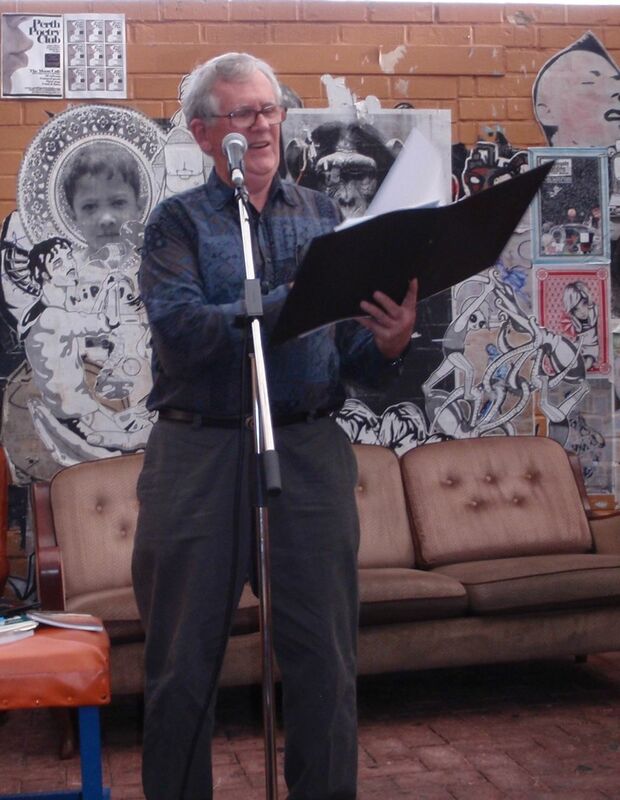 Each Saturday, from 2pm to 4pm, the Perth Poetry Club flaunts its wares at The Moon Cafe, 323 William Street, Northbridge. Fine poetry, food and drink. Open mic for aspiring writers, plus at least one guest poet a week. The founder and continuing force behind the scenes is Janet Jackson, poet, singer and mother. At Perth Poetry Club this Saturday 31 July our featured guest is one of WA's best-known poets, Glen Phillips. Plus open mike as always. 2-4pm at The Moon, 323 William Street, Northbridge. All welcome -- come and listen. Glen will be doing two sets, one in each half of the afternoon. Glen Phillips writes poetry and fiction and is well known as a reader of his work nationally and internationally. He was a founder of the highly successful Poetry in Motion performance group in the 1980s. He is represented in 20 anthologies and has published 10 books of poetry. His poems and stories have appeared in Asian, American, European and British journals and on national radio and television. His latest book, The Moon Belongs to No One, will be published by Salt in 2010. Glen is Director of the Landscape and Language Centre at Edith Cowan University. * Fri 30 July Lots of poets are reading at the Bodhi Tree Cafe Bookshop, Leederville. 10am-12 followed by open mike. * Sat 31 July Rachael Petridis's book launch, 2pm at Gallows Gallery, Glyde St, Mosman Park. * Mon 2 August VOICEBOX 7pm at Clancy's Tavern, 51 Cantonment St, Fremantle. Features Peter Jeffery, Hassam Alnawaab, JP Quinton, open mike. * Thu 5 August Lucky Dip variety night at Double Lucky Bar, 11/663 Newcastle Street, Leederville. Spoken word acts include Janet Jackson and (presumably!) Belowsky. Poets Corner open mike from 8pm, booked acts from 8:30. There are various ways you can enliven the exteriors of large buildings. You can plaster them with billboards, graffiti, murals, or even ivy. 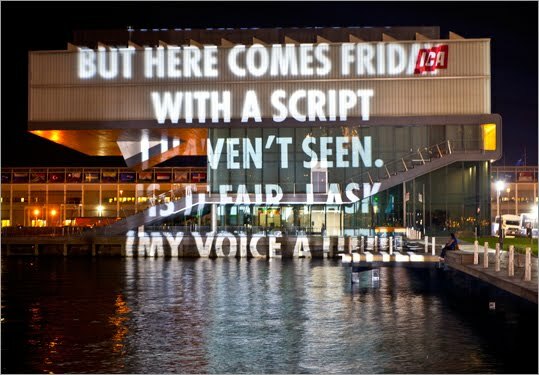 Another solution — pioneered over the last decade or two by the conceptual artist Jenny Holzer — is to plaster them with projections of poetry. And not just any old poetry. How about Nobel Prize-winning Polish poetry? Boston’s Institute of Contemporary Art, lately obscured from one angle by a giant circus tent, is hoping to stir and seduce people over the next three nights by projecting poetry onto the building’s northwest-facing facade. The work is by the Nobel laureate Wislawa Szymborska, conceived and arranged by Holzer. A new on-line literary magazine, Sol: English Writing in Mexico, edited by writers Bill Pearlman and Eva Hunter, is available to you at no cost. If you're a writer, you should check it out. If you're a reader, you should check it out. The first issue has writings from C.M. Mayo, Tony Cohan, Halvard Johnson, Wim and Pat Perrin, James Cervantes and others. SOL is meant to be a literary vehicle for both veteran writers like those mentioned above, and new writers like this issue's Margaret Tallis, Jan Harvey, and Carolyn Hernandez. The magazine will come out three times yearly. The on-line version is available without cost by subscribing; a yearly hard-copy anthology will be available at each year's end. We hope you'll enjoy the fine writing in this first issue. 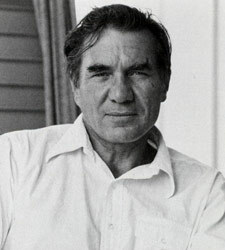 One of my favourite poets, and no doubt an influence on some of my poems, is Galway Kinnell, US poet with a very distinctive voice. His 'Book of Nightmares' was a huge influence on many younger poets when it appeared in 1971, and his selected poems collection 'Body Rags' was another which taught me a lot. I have read a lot of Kinnell's work over the years, and have come to a healthy conclusion to be as much an individual poet myself as he is himself. No doubt I have learnt some techniques from his work - mainly about pace and line endings - but I no longer feel I am influenced by him. In all of [Kinnell's] collections, but particularly in those of recent decades, there is a sense of a relentless striving toward a poetry that is not based on emulating music, chant, Hebraic verse or any other constructed model, but on the physicality of words themselves. For Kinnell, every word has its own weight, texture, taste and mouth feel, which, as he writes in “Blackberry Eating,” “I squeeze, squinch open, and splurge well.” His poems have come closer and closer to a keen appreciation for the value of words for their own unique existence as corporeal things, a savoring of the pure languageness of language. The Perth International Arts Festival is seeking a literary, enthusiastic and diligent individual to assist the Program Manager: Perth Writers Festival for the 2011 Festival. (10 weeks @ 3days/ week, 25 weeks fulltime). Applications close Friday 23 July 5pm. Thanks, Patrick for this illustration and poem. 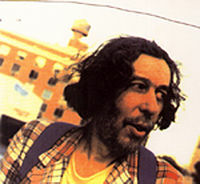 Tuli Kupferberg, the poet, singer and professional bohemian who went from being a noted Beat to becoming, in his words, “the world’s oldest rock star” when he helped found the Fugs, the bawdy and politically pugnacious folk-rock group, died on Monday in Manhattan. He was 86 and had been a longtime resident of Greenwich Village. He had been in weak health after suffering two strokes last year, said Ed Sanders, his friend and fellow Fug. This month 25th July the Fringe Gallery is delighted to announce our guests are, poets Maureen Sexton and Amanda Joy and dancer Roeli Joosten . 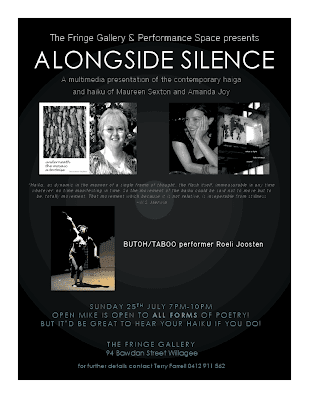 Together they will present contemporary haiga and haiku with a buto/taboo performance. The night will also have an open mic segment. The information below gives a small descriptive glimpse into this fascinating mini universe of poetic style and performance. Haiku is a traditional form of Japanese poetry that is succinct, minimal and imaginative. It often has a seasonal reference and a ‘cutting word’. In English haiku the ideas can be expressed with a short line, a long line and another short line. Haiga, in simple terms, is a haiku poem and its image or painting. Buto/taboo performance contains the unexpected with no set style but always poignant. Buto appeared first in Japan after the second world war and was viewed as revolutionary and controversial in its form. Western Australian Forecast Areas Map: "- Sent using Google Toolbar"
A much-needed wet and windy day for this town, but no good for my walking therapy. Talking therapy I'm a champ at, as friends who drop in know. Now the sun is struggling to penetrate thick cloud cover, and the Sweet Alice is spilling out onto the driveway. Storm water is running a creek down to the Swan River through the wetlands opposite, and ducks and ibis are feasting gloriously. It's a good day to be alive if you're not sleeping rough. Beneath the bridges would have been crowded last night as we sat in gas-fired comfort watching the World Cup. A rich society like ours should have enough warm beds for all, no questions asked. YouTube - Election 2010 Spoof Trailer - GetUp! Brilliant. Watch it and weep. Join Australian of the Year and mental health reform advocate Professor Patrick McGorry for a candid conversation about his passion for improving the mental health of young Australians. Professor McGorry will also be joined by a panel of mental health advocates to discuss the issues facing young Australians and how the community can influence change. Following in the footsteps of greats such as Robert Frost and Elizabeth Bishop, WS Merwin will take up the mantle of America's poet laureate this autumn. The 82-year-old poet has won the Pulitzer prize twice and is the author of more than 30 books of poetry and prose. "He leads us upstream from the flow of everyday things in life to half-hidden headwaters of wisdom about life itself," said James H Billington, librarian of Congress, announcing Merwin's appointment. 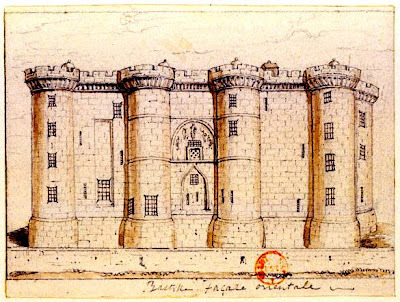 "[His] poems are often profound and, at the same time, accessible to a vast audience." WH Auden selected Merwin's first book of poetry, A Mask for Janus, for the Yale Series of Younger Poets award in 1952. In the 1960s Merwin decided to stop using punctuation in his poems. He said he had "come to feel that punctuation stapled the poems to the page ... whereas I wanted the poems to evoke the spoken language, and wanted the hearing of them to be essential to taking them in." Merwin has lived in Hawaii since 1976. An avid gardener, he grows endangered palm trees on a former pineapple plantation. "Like William Wordsworth, he is passionately interested in the natural world," said Patricia Gray, head of the Library of Congress's poetry and literature centre. "Although his poems often deal with simple, everyday things, there is a nourishing quality about them that makes readers want more." Billington pointed to Merwin's poem Heartland, where he said that Merwin "seems to suggest that a land of the heart within us might help map the heartland beyond – and that this 'map' might be rediscovered in something like a library, where 'it survived beyond/ what could be known at the time/ in its archaic/ untaught language/ that brings the bees to the rosemary'." Merwin will take over the post from Kay Ryan in October, holding it for a year. He told the New York Times that he wanted to emphasise his "great sympathy with native people and the languages and literature of native peoples" and his "lifelong concern with the environment" during his tenure as laureate, although he admitted that he does "like a very quiet life". 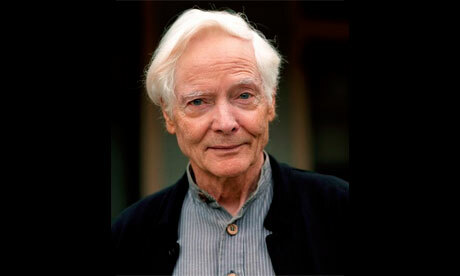 "I can't keep popping back and forth between here and Washington," said Merwin – but he was looking forward to "being part of something much more public and talking too much". 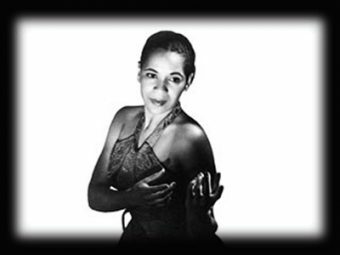 Hear a documentary on indigenous jazz vocalist Georgia Lee, courtesy of Radio National's AWAYE! Re-broadcast on ABC Jazz on July 9 at 2pm. And, there's more! (Sorry, all the steak knives have gone ): Replays of great interviews,etc. On the site as above they are hyperlinked, but just as a taster I list them below. Journalist Garth Cartwright tells of his journey through the USA, starting at San Francisco's St John Coltrane African Orthodox Church. An interview with jazz saxophonist Branford Marsalis. Australian jazz saxophonist/composer Sandy Evans in-conversation with Classic FM's Margaret Throsby. Back on deck again, but just. Hell is where you find it. But once there, it turns out to be a cul de sac and you have to persevere to turn around and get out of there. I am struggling my way back from CABG x 4. A rather Kafkaesque experience in many ways. More to come in time to come as I get my wits back. 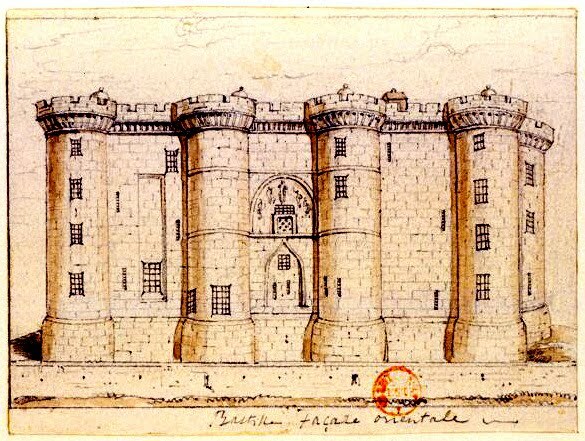 Thanks for the many many good wishes during my incarceration in RPH.